Leasing commercial space is more complex than renting an apartment, and in the current economy, both parties have more at stake. The experienced real estate lawyers of Scura, Wigfield, Heyer & Stevens, LLP, can protect your interests on the front end of commercial lease agreements or when conflicts arise regarding renewal, termination or violations. You don’t have to deal with your business disputes alone. Proper planning can avoid many conflicts, but perhaps you did not have that luxury when you entered or inherited your current lease. We represent tenant businesses and commercial property owners in all types of lease disputes, from rent and eviction disputes to litigation for damage, fraud or breach of contract. We are sensitive to our clients' bottom line and work to resolve conflicts as efficiently as possible through out-of-court mediation or negotiation. 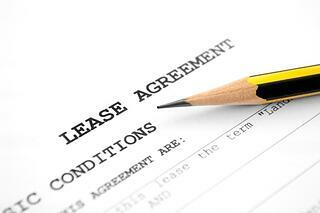 When no such solution is feasible, we have experience in arbitration and litigation of commercial property leases. To arrange a consultation to discuss your business dispute with one of our knowledgeable real estate lawyers, call 973-870-0434 or contact us online.